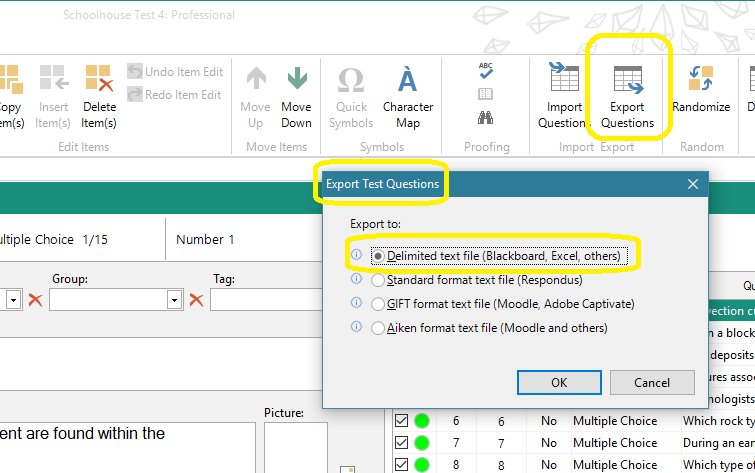 Starting with Schoolhouse Test 4, there are some export options so you can use test data in other ways. One customer emailed us asking about an issue he was having using the exported data in Blackboard. We discovered the exported data was fine, but Blackboard has a very particular set of steps when using data from another source like Schoolhouse Test. Attached to this article is a PDF file that outlines the steps for using your Schoolhouse Test exported data in Blackboard. If you're new to Blackboard you might find this information helpful.